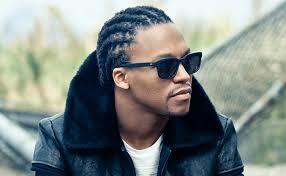 Chicago native Lupe Fiasco is definitely one Hip Hop artist who constantly changes his mind. Over the last year, his career has hit a few bumps in the road – starting with his decision to release three consecutive albums, which he later decided not to do. Last year, via Twitter, that decision was ironically followed by him announcing that he was completely retiring from the music industry. Meanwhile, Lupe was still recording “DROGAS Light” mixtape, which made it’s debut in February. With that being said, fans are always unsure what may happen next, or more importantly whether or not they believe him. However, earlier today, “The Kick Push” rapper announced that he will be releasing another huge project. A project that he is considering the second part to the album “DROGAS light” conveniently entitled “DROGAS Wave.” The fairly unpredictable emcee took to Twitter to share what appears to be the cover art for the album. Lupe’s rather intrigued fans are now wondering if perhaps there will be a third album released in April, making his previous announcement of a trilogy in fact true. Although he hasn’t confirmed that, nor has he announced the albums official release date. Instead, he’s posted a mere “Coming soon” tweet to his Twitter account.